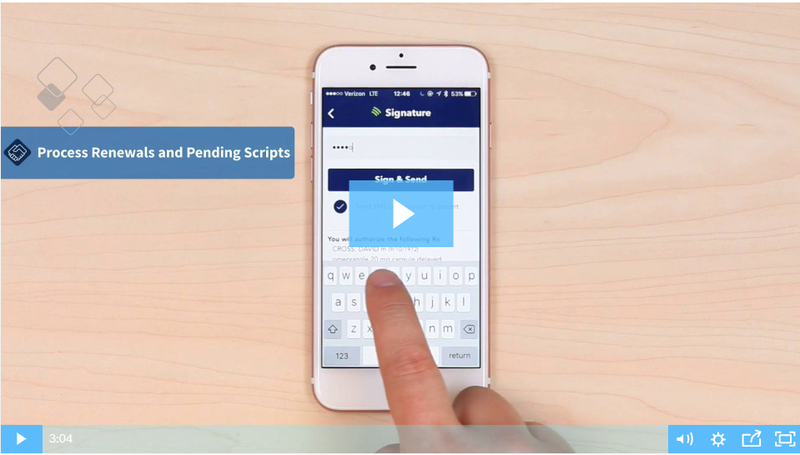 iPrescribe makes prescribing easy and fast. You start the app and send a new prescription or a refill with just a few taps on your phone. No need to wait for your computer to boot, no need to log in to anything to access PDMP data. With iPrescribe, you are in full control of the prescribing process and your patients receive their prescriptions just in time, only if and when they need them. You can check with patients remotely over the weekend and order a refill or move them to another drug depending on how they are feeling at the moment.